FACES Cosmetics has launched its new Glam On range of Color perfect lipsticks, blush, Eyeliner, Mascara and Prime Perfect Pressed powder. 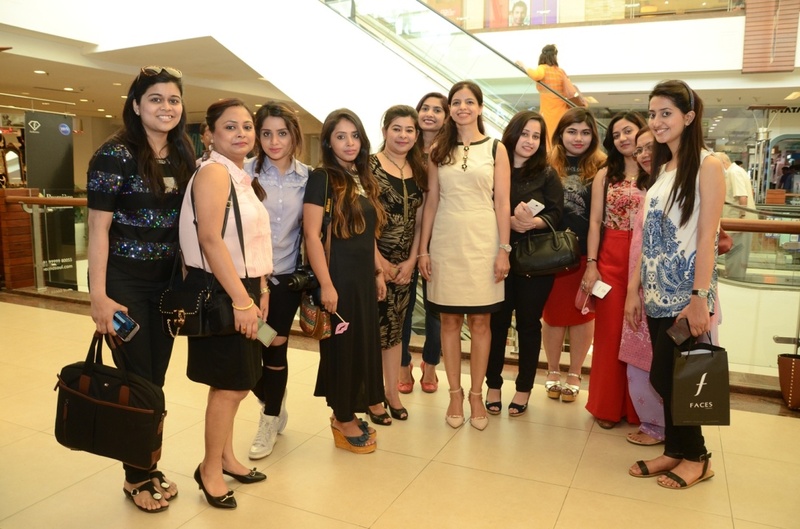 Since it was a mother’s day week, on the occasion of launch event of Faces ‘Glam On’ range, beauty bloggers were invited along with their Mom’s to celebrate a day of Glam in FACES Store, Select Citywalk, New Delhi. FACES Cosmetics, with a proud Canadian heritage with a more than 40 year and expertise in the Color cosmetics, offers an exclusive line of stunning skincare products globally. Faces Glam On is an impressive make-up range with a instant flawless finish under affordable prices. This range is good for regular use as it is paraben free & has super light texture with long lasting effect. Luxuriously rich and luscious, FACES Glam On range is the perfect make-up companion for the woman of today. It delivers an elegant range of make-up that glams up your look in an instant, giving you an unmistakable touch of style. Whether it’s the natural look or that seductiveness you are looking at, Faces Glam On is the perfect make-up with a flawless finish. The precise line of the Glam On Perfect Noir Eyeliner gives dramatic definition to your eyes with one easy swipe. The super-creamy Glam On Volume Perfect Mascara perfectly coats each lash from root to tip, creating a wide-eyed look with great volume. Glam On Color Perfect lipstick comes in 16 captivating colors, from the most easily worn tones to the most trending styles. Its ultra soft texture offers softening and hydration benefits as it is enriched with castor oil to condition your lips. Glam On Prime Perfect Pressed Powder is a velvety compact that blends effortlessly to give you a flawless skin and a radiant glow. It has been developed in 5 shades suitable for Indian skin. The super light and silky smooth Glam On Perfect Blush is available in 4 beautiful colors that give the cheeks a natural glow. I miss New Delhi, I lived there 5 years!